Disclosure: This is a sponsored post. As always, all opinions are mine and mine alone. Every year, every Holiday party, I am expected to bring Tamales. Somehow the “what should I bring” doesn’t apply to me. One year, I tried to bring a store-bought appetizer. I walked in, and man, you should’ve seen the look on everyone’s faces! You would’ve thought I killed their puppies! Well, I learned my lesson. Maggie, the Mexican, will bring the tamales, and everyone else can bring the wine. 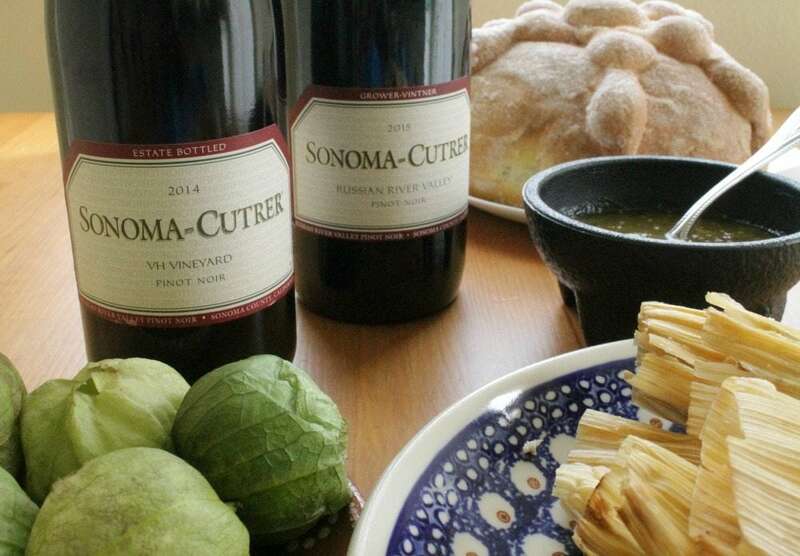 Let me tell you… Sonoma-Cutrer Wines Make Mexican Holiday Parties a Real Fiesta. Sonoma-Cutrer wines are special. A blend of Burgundian traditions and California science, they unite old with new to create magic. Winemaking is truly a craft that they clearly master. You can taste it in each bottle. They are located in Sonoma Valley and offer tours and tastings to the public. I can’t think of a better weekend getaway with the hubs. 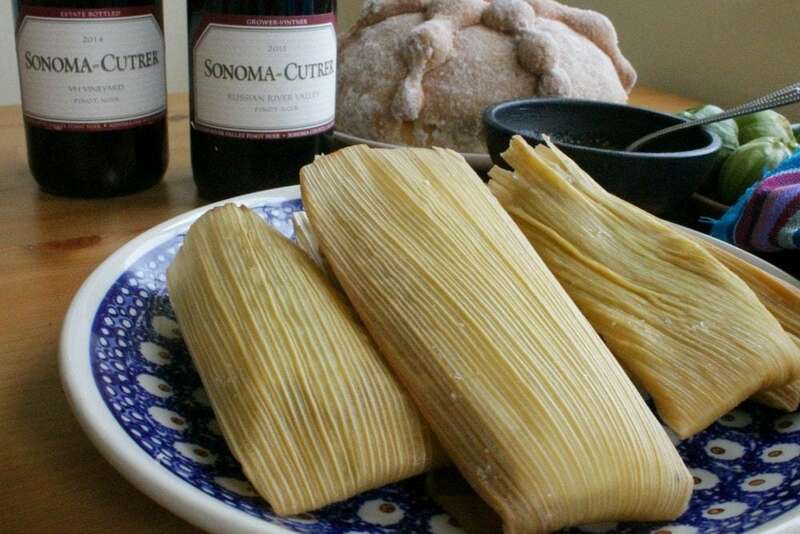 Red beef tamales and red chile chicken tamales, in particular, pair well with Sonoma Cutrer Vine Hill. It’s a red wine that stands up to the boldness of these tantalizing tamales and any salsa you might put on them. 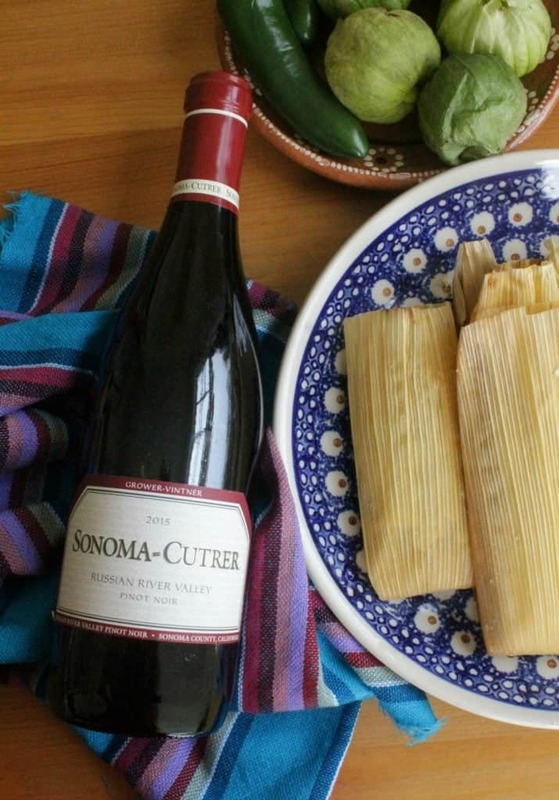 There’s something about the cherry and blackberry flavors in the wine that goes especially well with beef tamales. Yum. Oh, double yum! Another wine I highly recommend is Sonoma Cutrer Russian River Valley Pinot Noir. I love the taste of dark fruits in this wine. 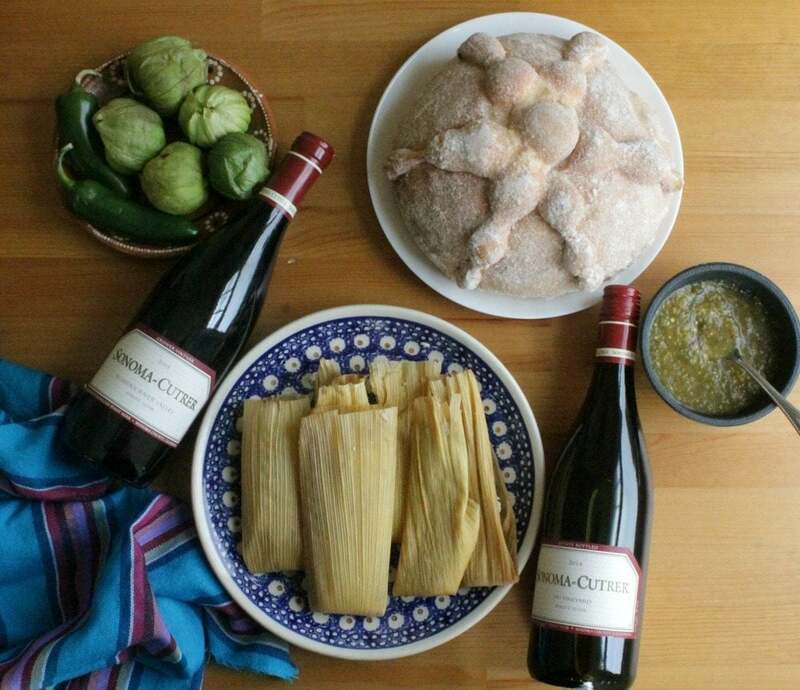 You can easily serve this wine with savory tamales, but try them with sweet raisin and nut tamales. The taste of the spice from the barrels in this wine and the dark fruits flavor. Mmmm … Just perfect! Cheers! Order your next Holiday party wine easily and conveniently online. Check out the Sonoma Cutrer Website to order today.